Hubby & I happened to be in the neighborhood & was looking for some coffee after brunch. We decided to stop in here. Upon walking in, we noticed the nice, homey, laid-back feel to the place. The cashiers were all really nice & didn’t rush you to order. They had chalkboard signs by the counter, a lounge area with vintage chairs & sofas, & in the back, a picnic table for those that want to use their laptops since it was forbidden in the lounge area. Oh yeah, did I forget the high ceilings? Yep, they have that too! I’m not a coffee person, so I left that for hubby to order. He opted for the Latte. Something simple & something he loves. He loved the Latte. He definitely thinks it’s one of the best. I did read many rave reviews about the Rocketfuel (Cold-brewed w/ Chicory, Maple Syrup & Milk) & Voodoo Child (Vietnamese-style Cold-brew, sweet & creamy), so hubby will have to try those next time we make a visit, especially when he’s feeling really sluggish & tired. I opted for the pastries, which they make fresh daily. I tried the Espresso Coffee Cake with Espresso Glaze. You can definitely taste the espresso in the cake. I’m not a fan of drinking coffee, but I don’t mind having it in baked goods form! 🙂 It was a denser Bundt cake, but it was still moist & would have gone perfect with a cup of coffee (if only I like coffee)! 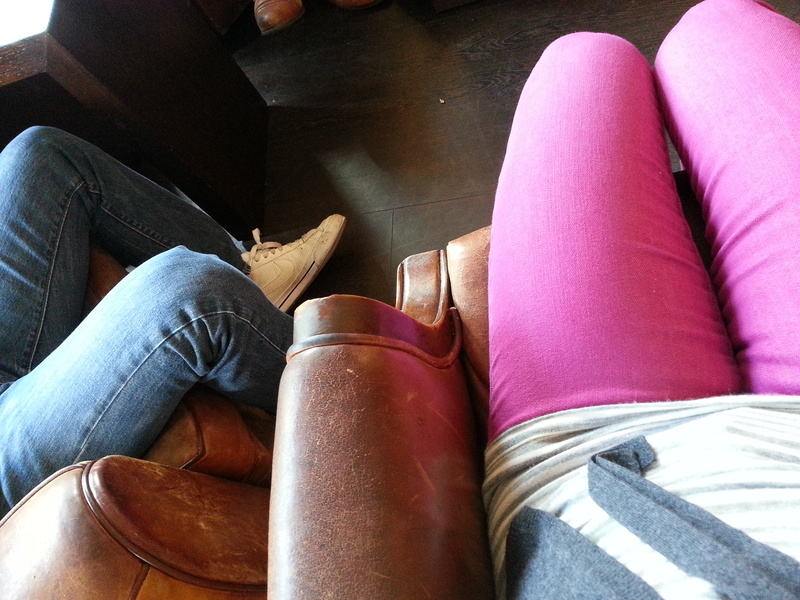 I enjoyed the cake while sitting in one of the cushiony chairs side-by-side with the hubby. It was a great place to chill on a lazy Sunday morning. I read my book & relaxed a bit. The place gets it spurt of loyal customers & I can see why they would come back time after time. This is the kind of café that I would love to own one day. 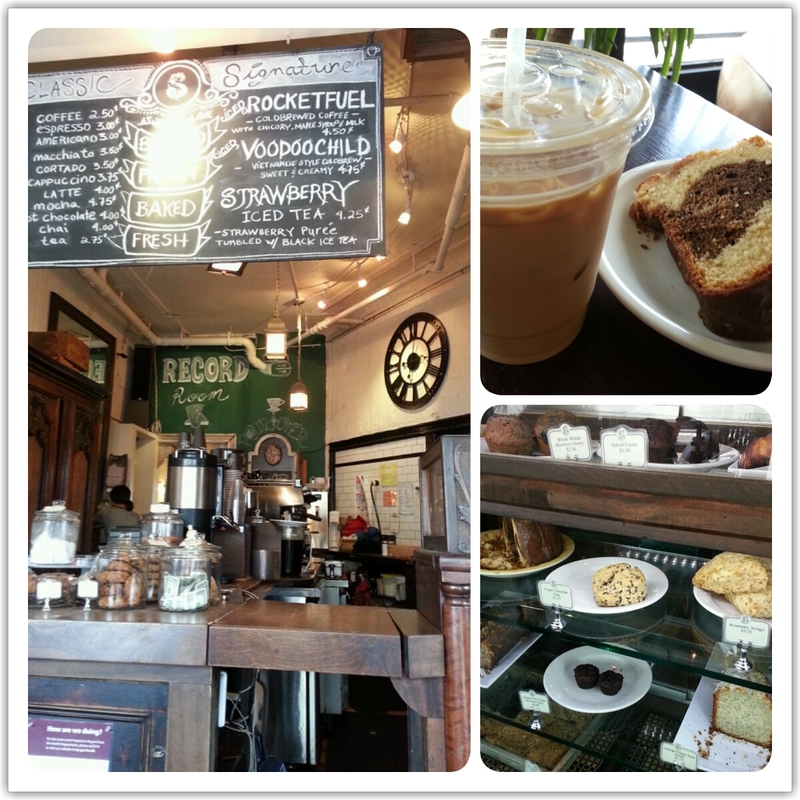 It is very laid-back & low-key, with great service, awesome coffee & baked goods. What more can a gal ask for?! ?